To create ICT trends for development. SparkLab is one of the main initiatives of Telecentre to further provide opportunities to people and organizations all throughout the globe. 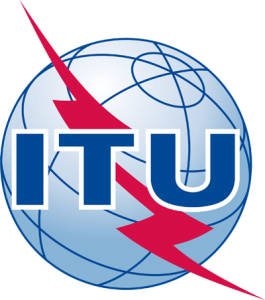 The International Telecommunication Union is the United Nations agency specializing in information and communication technologies. The ITU is committed to connecting every person in the world, regardless of where they live. 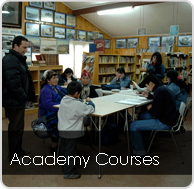 The work of the ITU ensures the right of all people to communicate. It also offers a global platform for the discussion and exchange between different stakeholders in the world of ICT, facilitating the collaboration and development of initiatives between diverse sectors, experts, and professionals worldwide. The Government of Catalonia (Generalitat de Catalunya) is a government organization that has consistently showed its desire to take advantage of ICT and the latest technological tendencies to create equitable and modern conditions for the development for all citizens. The Generalitat and its partner agencies in the city of Barcelona have an internationally recognized leadership in developing models, investigating, and generating knowledge and advanced uses for ICT, as well as being a territory and city where, every year, major events on the development and promotion of technology bring together the most elite representatives and leaders of the trade worldwide. Telecentre Foundation (TCF) is a global organization focused on the promotion and development of the different models of centres for public access to the internet, or telecentres. TCF’s main goal is to create the best possible environment to unlock people’s individual potential, through intelligent and appropriate use of the different options offered by ICT on a global level. TCF is committed to improving people’s living conditions and building more intelligent communities thanks to the addition of and inclusive use of ICT.